This dataset shows the 2017, 2018 and 2019 Locality County Crosswalk. Data includes 52 localities in the other 16 states, with 10 states having 2 localities, 2 states having 3 localities, 1 state having 4 localities, and 3 states have 5 or more localities. 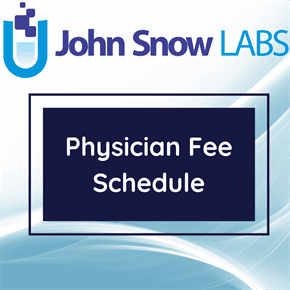 The current Physician Fee Schedule (PFS) locality structure was developed and implemented in 1997. There are currently 89 total PFS localities; 34 localities are statewide areas (that is, only one locality for the entire state). The District of Columbia, Maryland, and Virginia suburbs, Puerto Rico, and the Virgin Islands are additional localities that make up the remainder of the total of 89 localities. On April 1, 2014, the Protecting Access to Medicare Act of 2014 (PAMA 2014) was signed into law and Section 220(h) of the legislation adds section 1848(e)(6) of the Act, which now requires, for services furnished on or after January 1, 2017, that the locality definitions for California be based on the Metropolitan Statistical Area (MSA) delineations as defined by the Office of Management and Budget (OMB). The resulting modifications to California’s locality structure increase its number of localities from 9 under the current locality structure to 27 under the MSA based locality structure (operational note: for the purposes of payment the actual number of localities under the MSA-based locality structure would be 32). Additionally, for some of these new localities, PAMA requires that the GPCI values that would be realized under the new MSA based locality structure are gradually phased in (in one-sixth increments) over a period of 6 years.